Master students and their supervisors are invited to submit high quality theses regarding topics in the area of quantitative finance: derivatives, risk management, market modelling, high frequency and algorithmic trading and others. 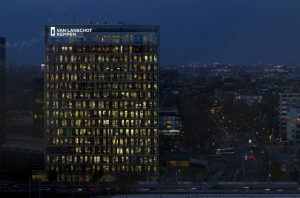 Students of any Dutch university and any MSc program are eligible: quantitative finance, financial and actuarial mathematics, econometrics, mathematics, computer science, finance or any other. The thesis submitted for the competition must have a clear quantitative finance focus, contain high quality original theoretical and/or empirical work and your thesis must be finalised (submitted and approved) before October 1st, 2014. The deadline for submission is October 1st, 2014. 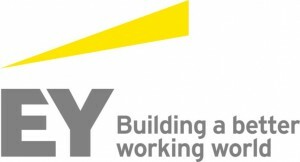 The three final candidates will have the opportunity to present their thesis at the Quant Careers EY mini symposium at the Amsterdam EY office in the afternoon on October 24, 2014. During this event the winner will be announced. The author of the winning thesis will receive a prize of €2500 and a summary of the thesis will be published in the bi-annual TopQuants newsletter (see www.topquants.nl). The jury of the competition consists of: Dr. Diederik Fokkema (EY), Dr. Hristina Lokvenec-Guleska (NN), Dr. Artem Tsvetkov (ING), Dr. Herbert Tulleken (SNS) and Drs. Job Prince (Milliman). The candidates can submit their thesis by email in PDF-format to Dr. Svetlana Borovkova at s.a.borovkova@vu.nl.